The staircase. Photo courtesy of The Langham, Melbourne. 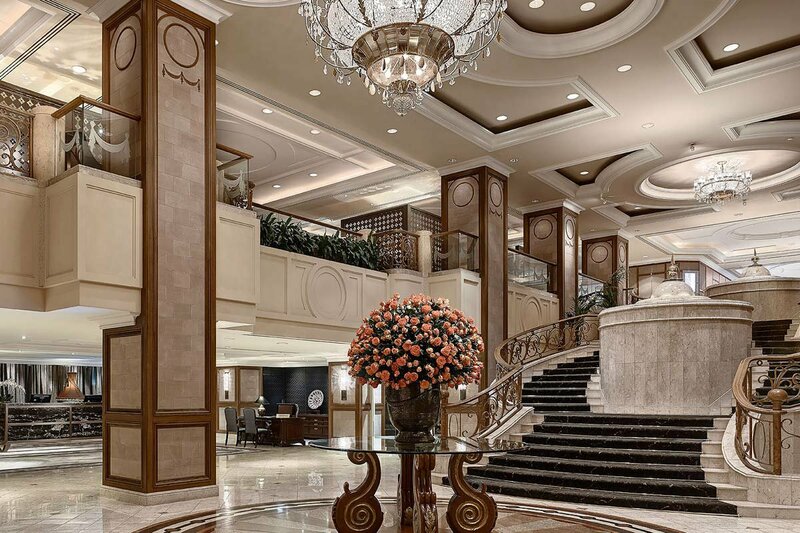 Popupla's Pavia Rosati checked into the Langham, Melbourne, as a guest of the hotel last summer. 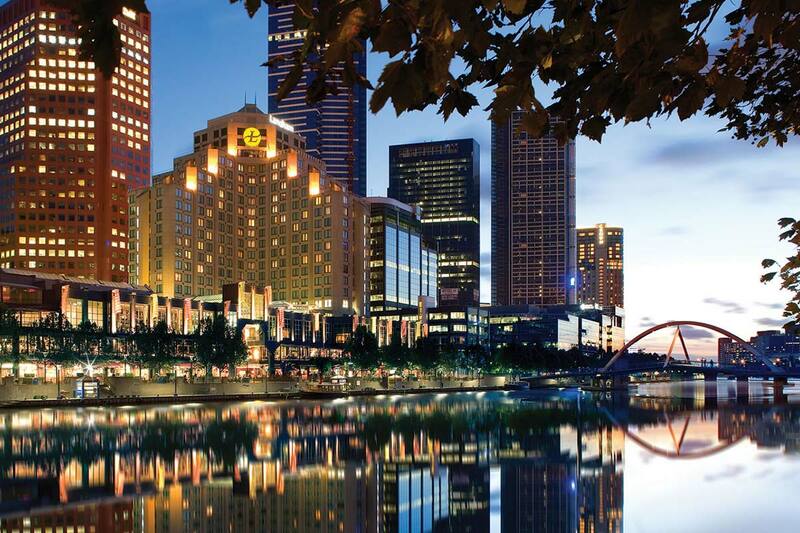 MELBOURNE – is a grand and stately hotel in the Southbank neighborhood on the banks of the Yarra River, which winds through Melbourne. This was my first time staying at any Langham Hotel. Making a strong first impression is an ornate staircase that leads from the entrance up to the reception, bar, and dining level. For a major world capital, Melbourne has a pretty weak hotel scene. The Langham's only real competition in town is the truly massive (not in a good way) Crowne Plaza Hotel nearby. At just under 400 rooms and 24 floors, The Langham is hardly a boutique property, but it never feels overwhelming or anonymous, which is testament to how much they prioritize customer service. A woman named Tara Bishop looks after the public relations for the Langham. Because I was a guest of the hotel, I spent a lot of time with her. She guided me to so many amazing cafes, bars, shops, and neighborhoods — often drawing maps right in my notebook — that I immediately fell in love with Melbourne. Someone should make her the mayor. 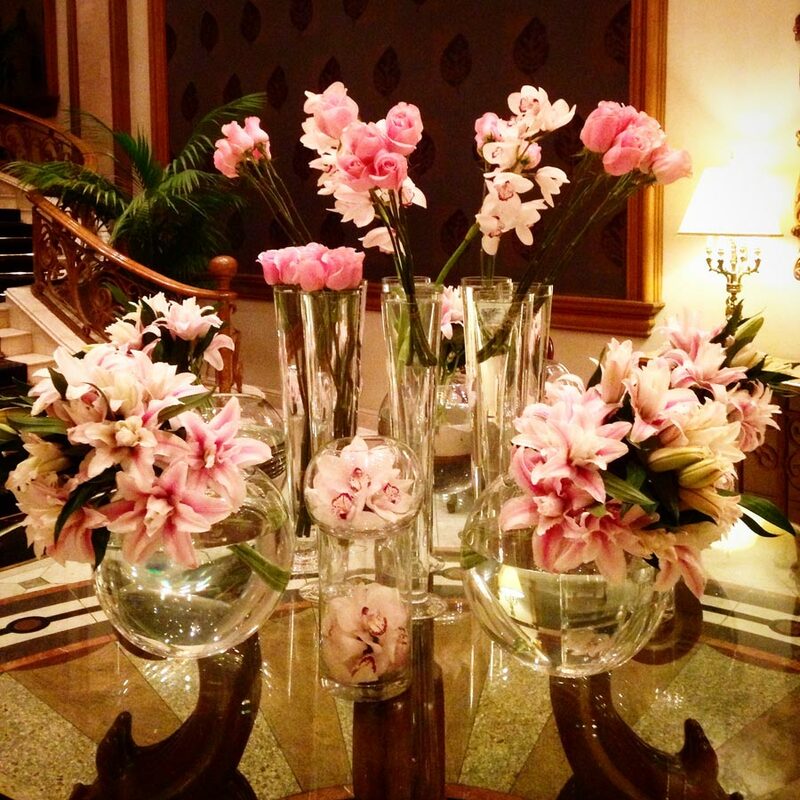 And although it isn't a claim to fame, the color pink is the prevailing motif at every Langham, and you notice it everywhere: in the elaborate flower arrangements, in the teddy bear on the bed, in the Chanel-style women's uniforms, in the London Taxi Company car parked out front. An excess of pink, above, and my bedroom, below. Photos by Pavia Rosati. I stayed in a Grand Classic Room, the entry-level category. Overstuffed armchair, floral motifs on the textiles, thick carpet, traditional furniture, giant marble tub: soothing and genteel, the opposite of trendy. My room overlooked the Yarra River, and I was grateful that jet lag woke me up at 5 a.m. in time to watch a beautiful sunrise unfurl every day. 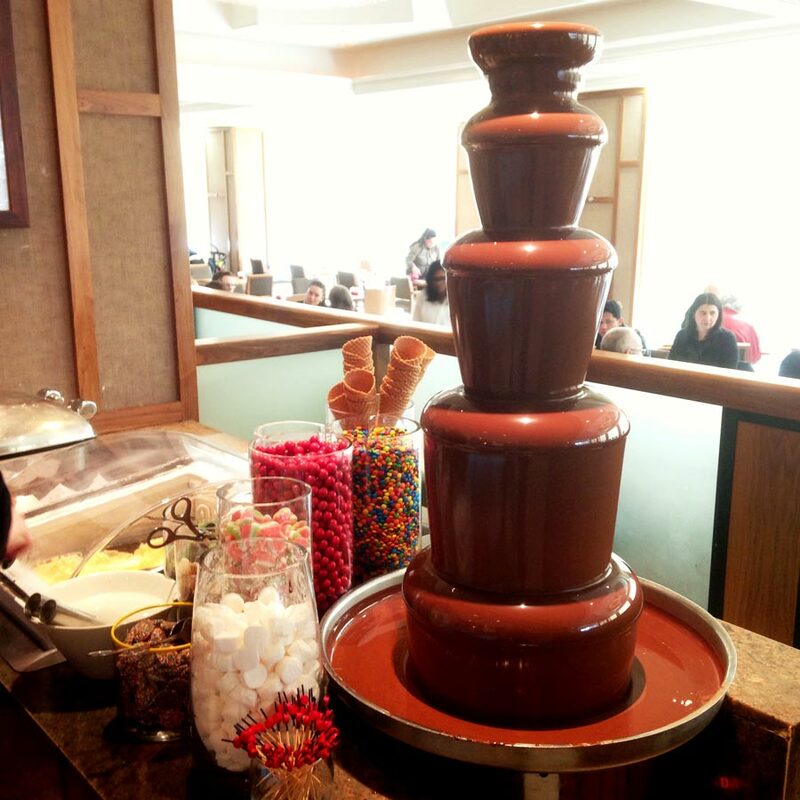 The chocolate fountain. Photo by Pavia Rosati. Melba, the restaurant named for the opera singer Dame Mellie Melba, served a massive buffet lunch featuring many different cuisines. These things can go either way, but everything I tried, from sushi to grilled meats to tropical fruits, was terrific. Everyone oohed and aaahed over the chocolate fountain, which would have impressed me if I was a chocolate fountain kind of lady. Every day, I had breakfast in the business lounge on the 24th floor. The food selection wasn't as extensive as Melba, but the views were a knockout, the coffee was strong, and the WiFi was blazing. Business travelers, wealthy travelers, families, and, well, pretty much everyone except hipsters, who don't think any chain hotel is cool. The hotel seen from the north side of the Yarra. 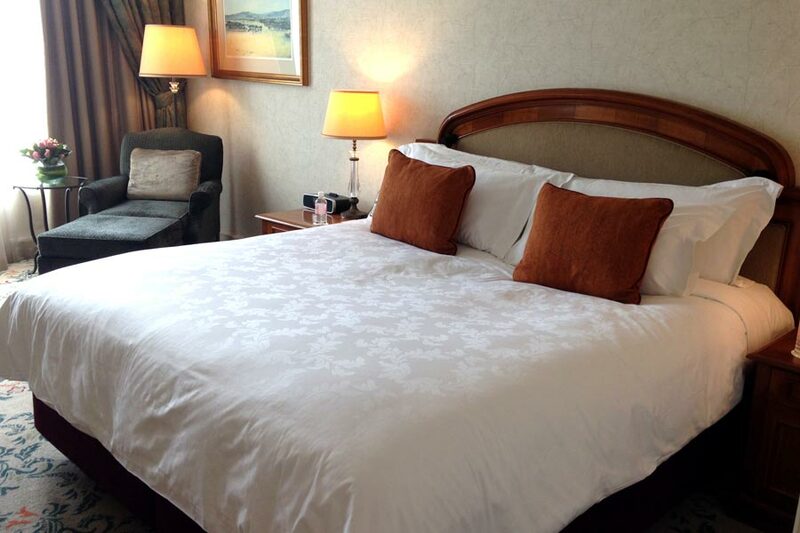 Photo courtesy of The Langham, Melbourne. You're literally in the heart of the city, within easy walking distance of countless bars and restaurants, shops and cultural attractions. The more residential neighborhoods of Fitzroy, St. Kilda, and South Yarra are a little farther away but an easy tram ride away. The National Gallery of Victoria, Queen Victoria Gardens, State Theater, and Australian Center for Contemporary Art are a stone's throw away on the south side of the Yarra. Right across the Yarra, you're in the heart of Melbourne CBD (Central Business District), trendy Flinders Lane, and the famous laneways of Melbourne. The tram system is extensive and just about every route intersects through the Flinders Street Station, which is right over the bridge.